Although it in by no means certain that this is Ffynnon Leinw that was being referred to. This ebbing and flowing characteristic had already ceased by the time Thomas Pennant visited the site in the late eighteenth century. In more recent times the water sources appear to have largely stopped. 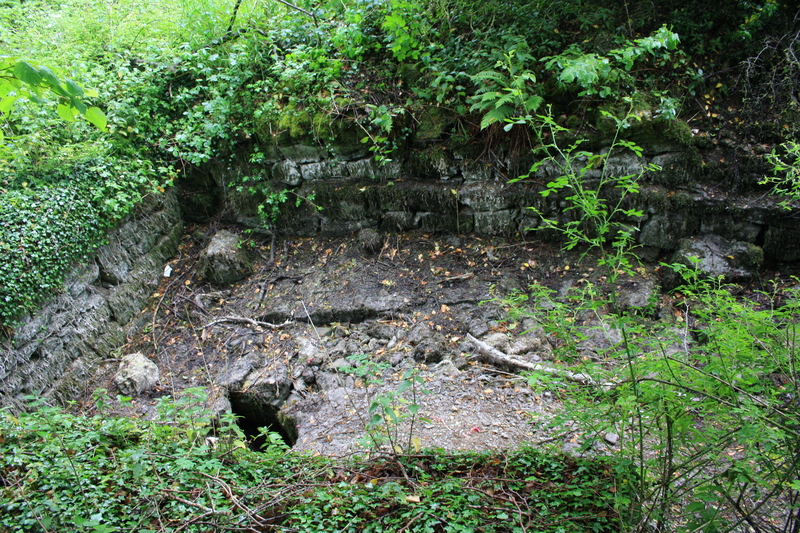 The well basin, built of dressed stone with steps leading down into it, measures about 18 feet by 10 feet and is 2-3 feet deep. 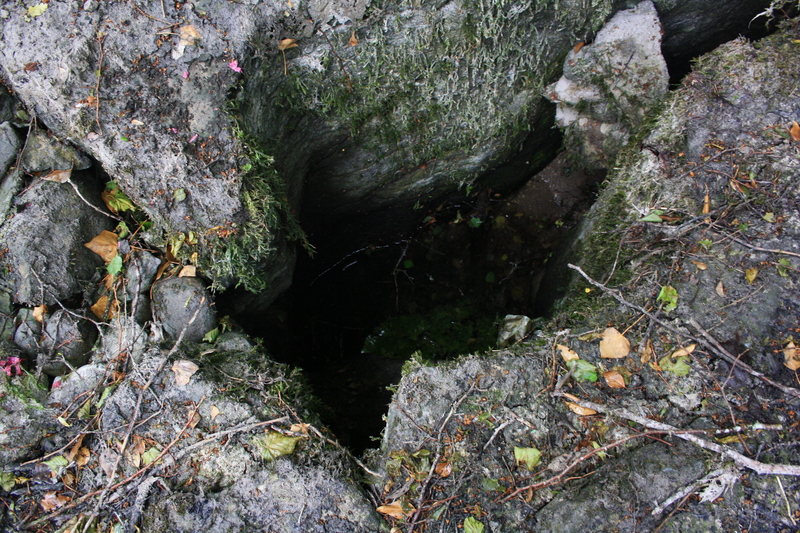 The water source is a deep cut towards the east of the well, which appears to have an underground tunnel leading from it. When we visited there was still water at the bottom of the cut, about two to three feet lower than the floor level of the well. The Royal Commission visit in 1910 noted that the water in the well had dried up even at that time, except during periods of significant rainfall. Ffynnon Leinw is at the side of the A541 between Mold and Denbigh, just through Hendre. From the 24/7 Roller Shutter factory walk along the road towards Denbigh with a small woodland on the left hand side. Just before the end of the wood the well can be seen on the left hand side about 5 yards from the roadside. The visit reported above was in June 2011, passing the well again in December 2011 and January 2012 we have noticed that it was full of water. 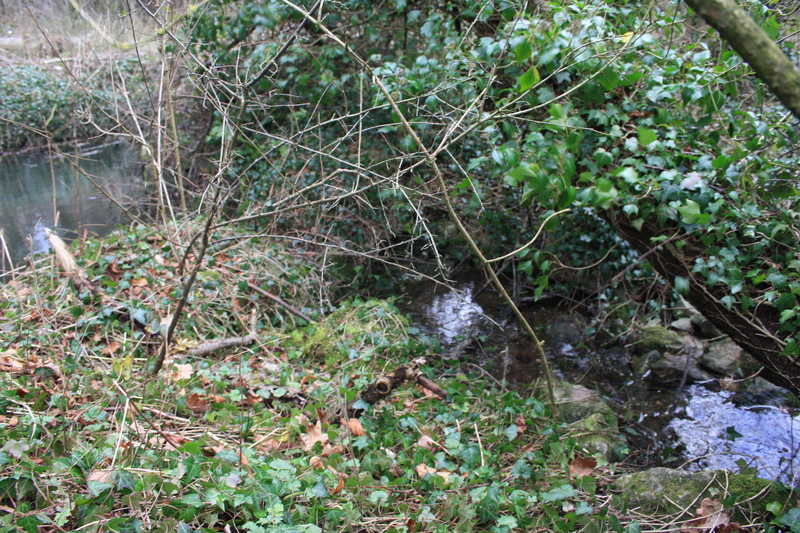 The water drains out along a stone lined channel in the south western corner of the well, flooding a wide area beside the well. From this we must assume that the dry periods are seasonal, and that the well is still functioning when the water table rises at certain times of the year. A very interesting read, particularly the bit about the hot and cold alternating flow. Thanks for visiting and your comments. If only there were a well with an alternating hot and cold flow, I’m sure such a site would have been popular. Unfortunately the only changes here were said to be high and low, like the tides – but remaining obstinately cold. You make me feel foolish for suggesting a natural well could run hot and cold 🙂 but I was referring to your above quotation of Gerald of Wales, that Trogus Pompeius said “there is a town of the Garamanites where there is a spring that runs hot and cold alternatively by day and night “. I found this interesting because this well is directly opposite on the mountain to St Winifrede’s well, if you use the under ground waterways (Milwr Tunnel) as an axis. 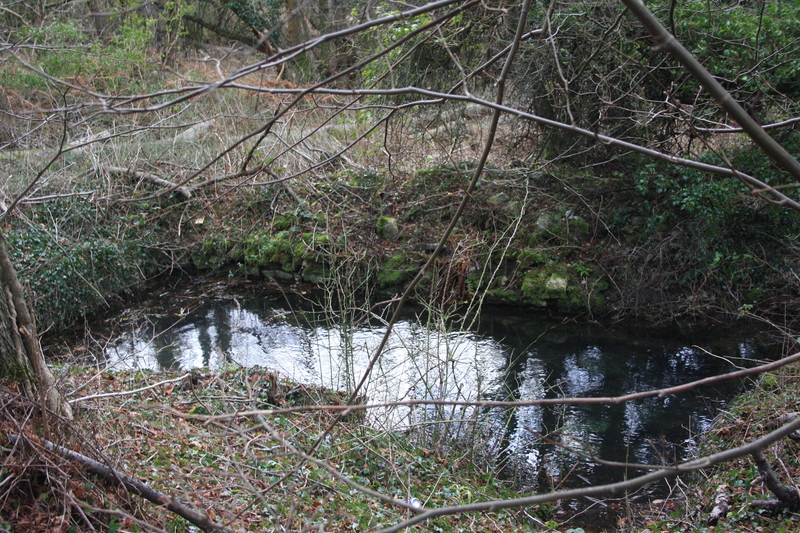 St Winifrede’s well was reported to have been originally fed by two underground tributaries , one of which was several degree’s warmer than the other. 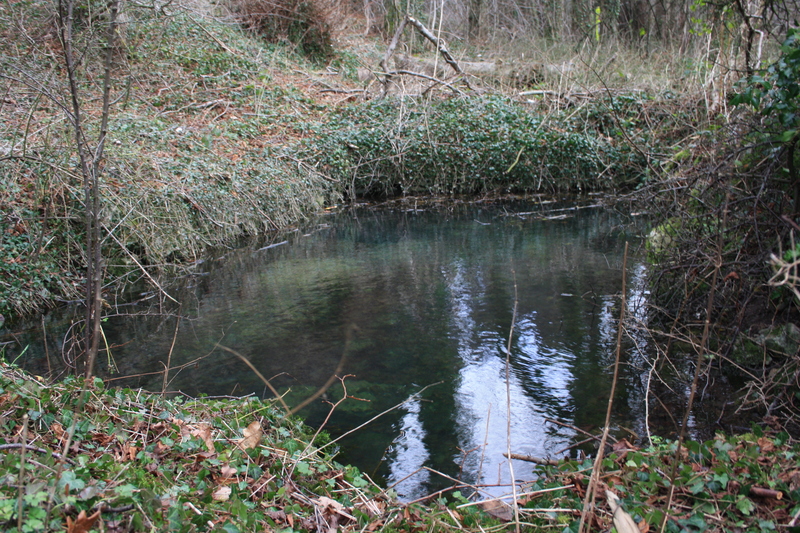 The water lode feeding the well was burst by mining in 1907 (?) an alternative water source was hastily rigged up, due to the well’s fame, but no miracle has been recorded since. In your text above you also quote Lewis as saying Leinw possess properties equal to,if not superior , to those of the far famed well at holywell. So sorry, I’d forgotten all about that quotation, I’m the foolish one for not reading my own work more closely before I leap in. intriguing point about the links between this at Winefride’s well. I am not that well up on the underground sources, you make some fascinating points there which I really should read up on. Interestingly the Lewis comment is the only one I’ve seen that relates to this spring having any healing properties – which seems odd given that he considered it so highly.